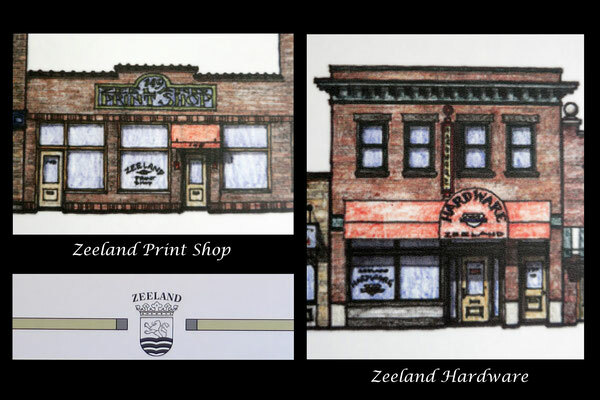 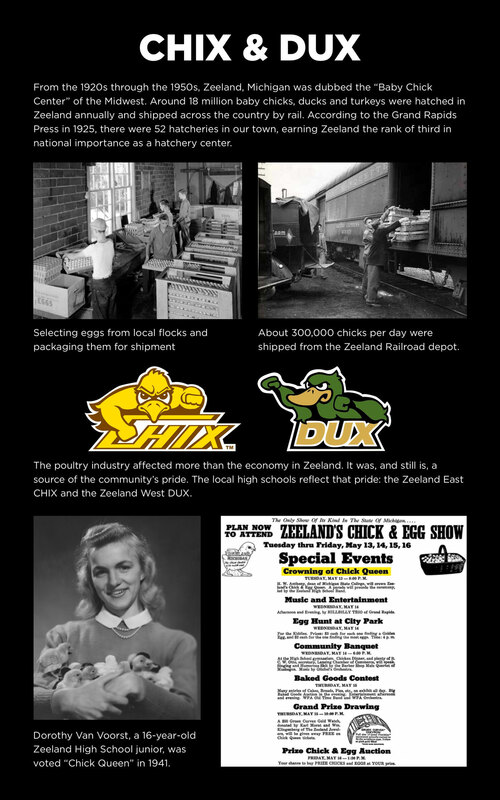 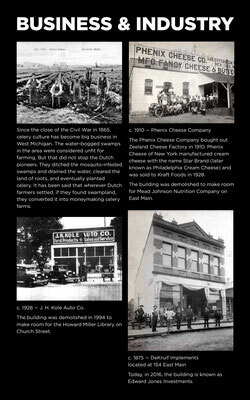 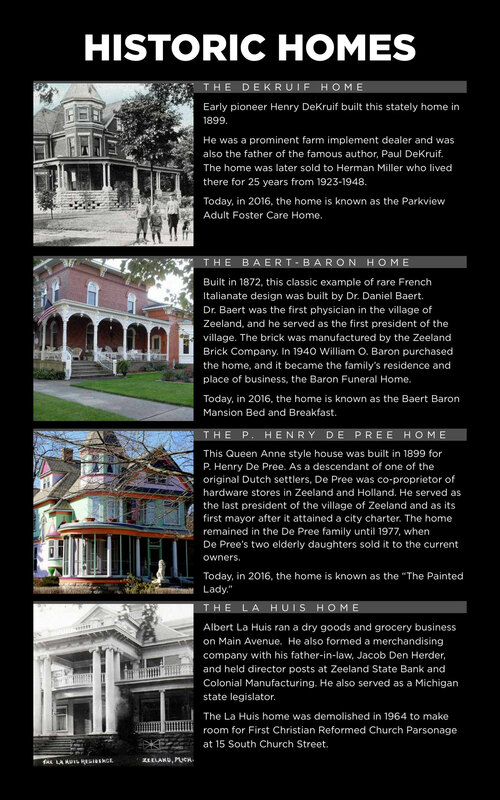 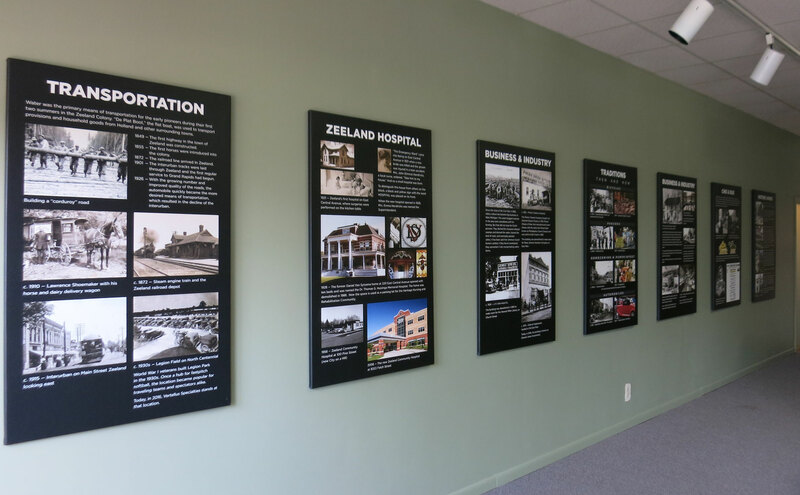 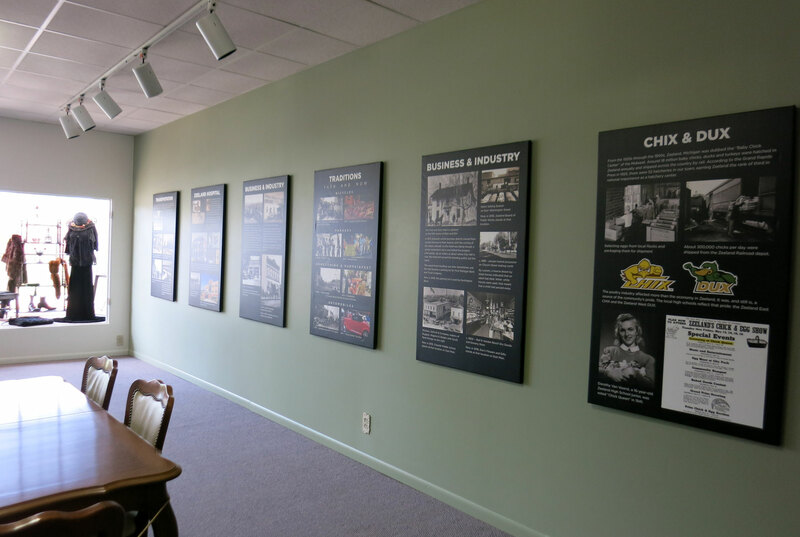 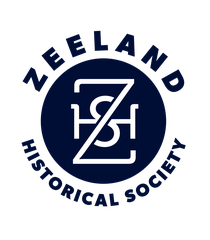 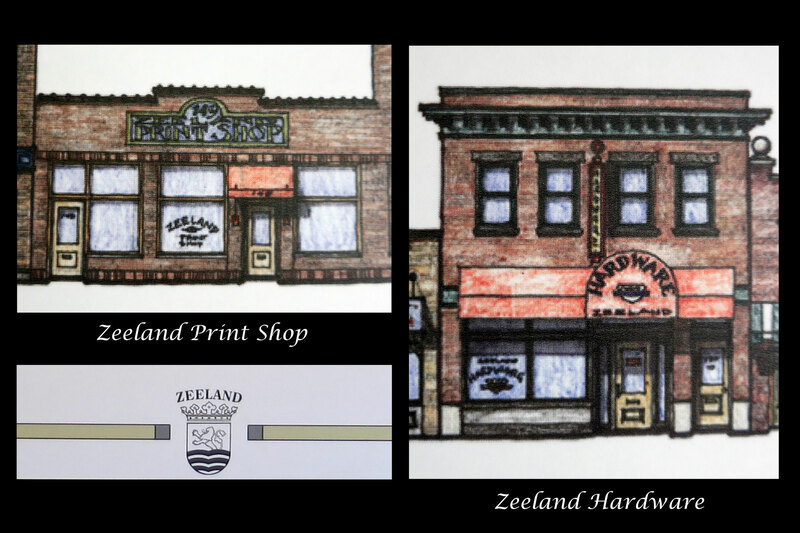 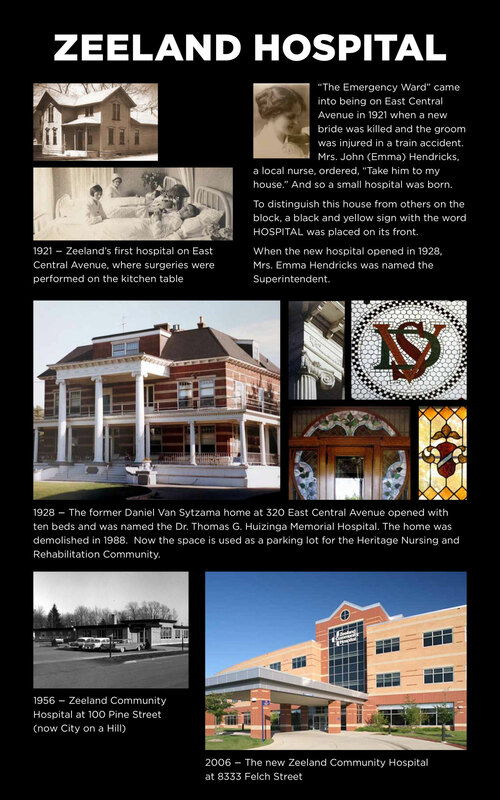 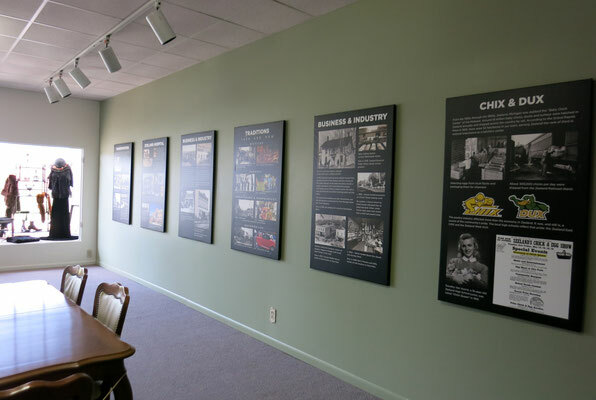 On the west wall you will see our beautiful new canvas panels, which colorfully portray Zeeland's history - past and present. 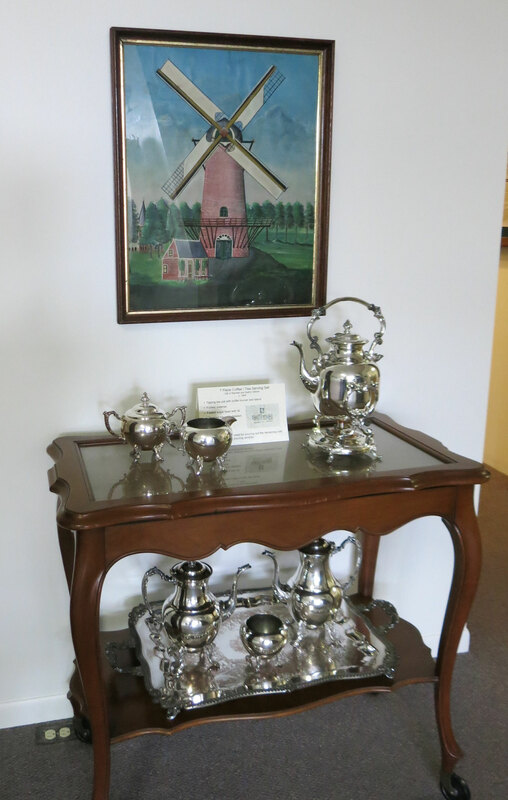 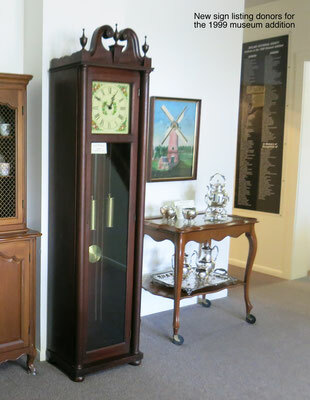 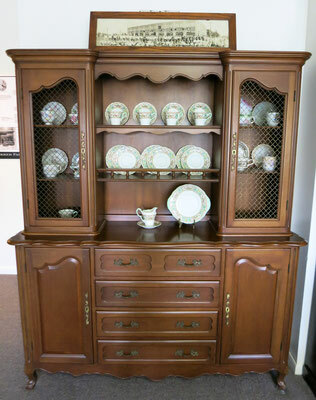 The grandfather clock and dining room furniture, manufactured by Colonial Manufacturing Co. World's Largest Makers of Hall Clocks in Zeeland, Michigan, adorn the north wall of the gallery. 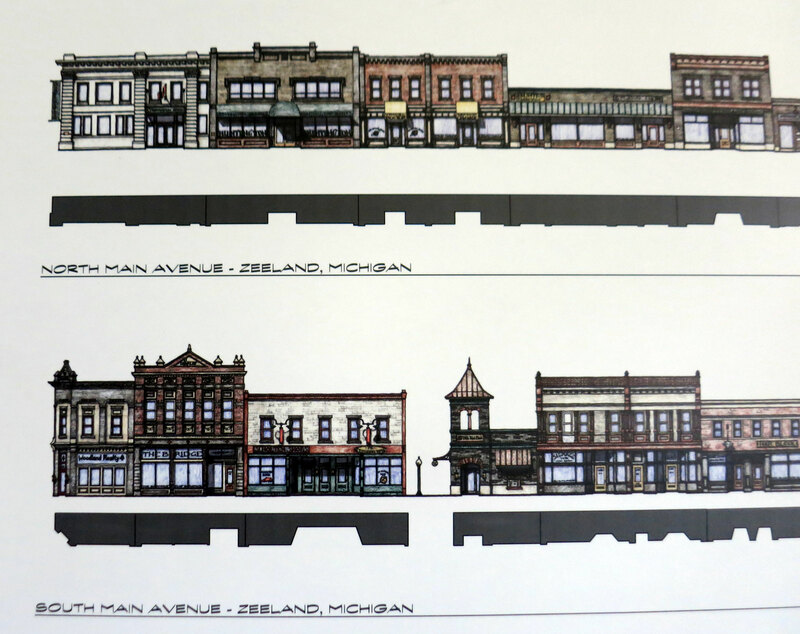 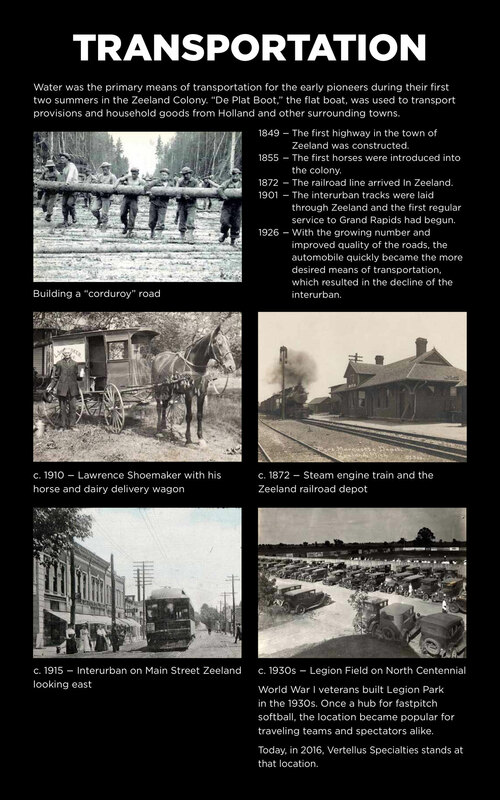 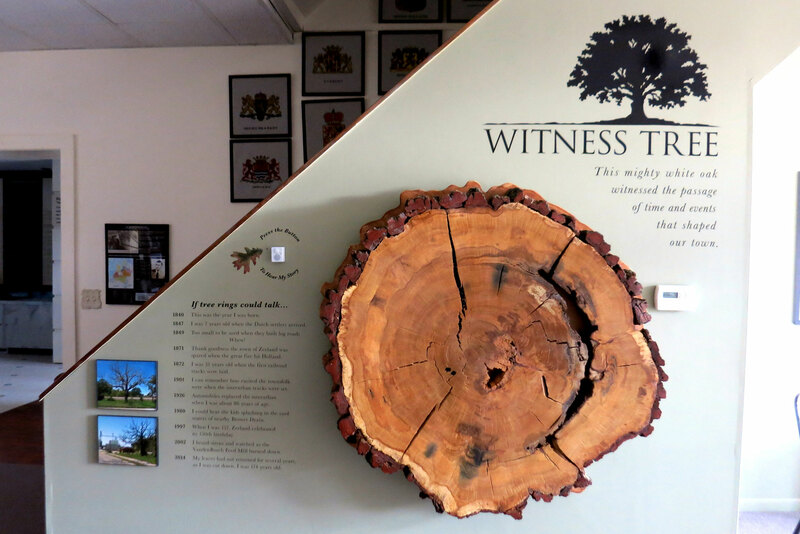 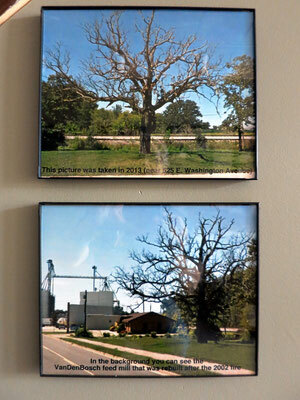 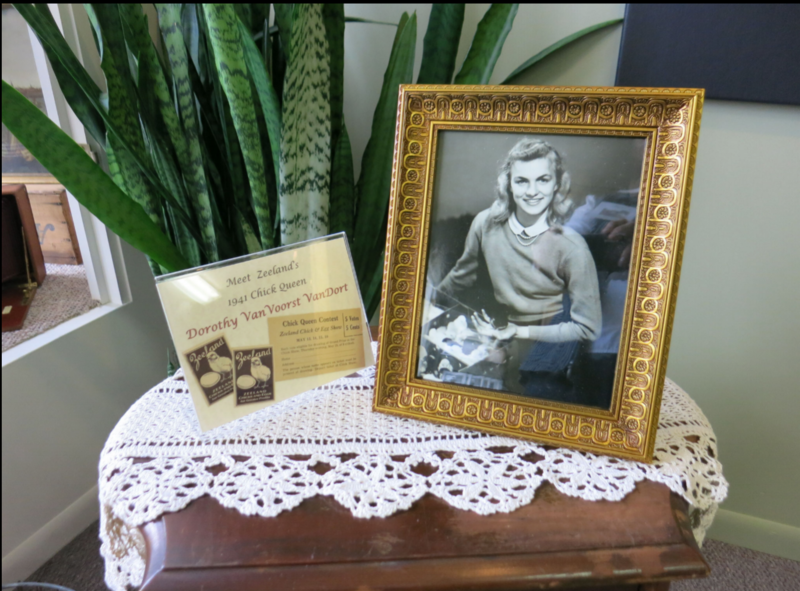 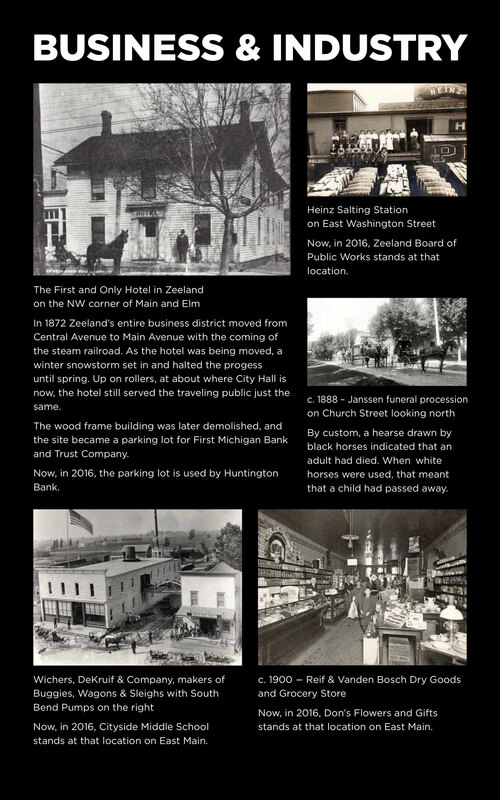 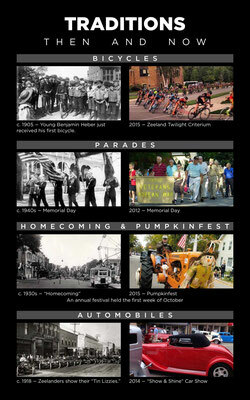 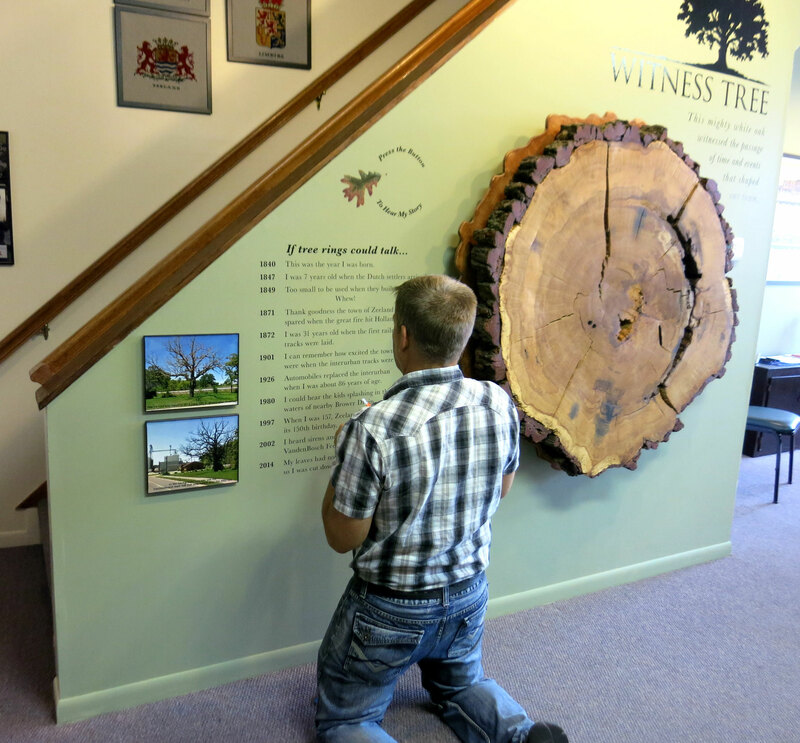 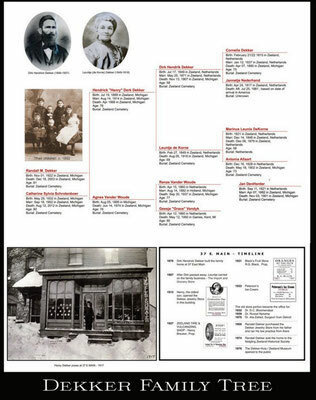 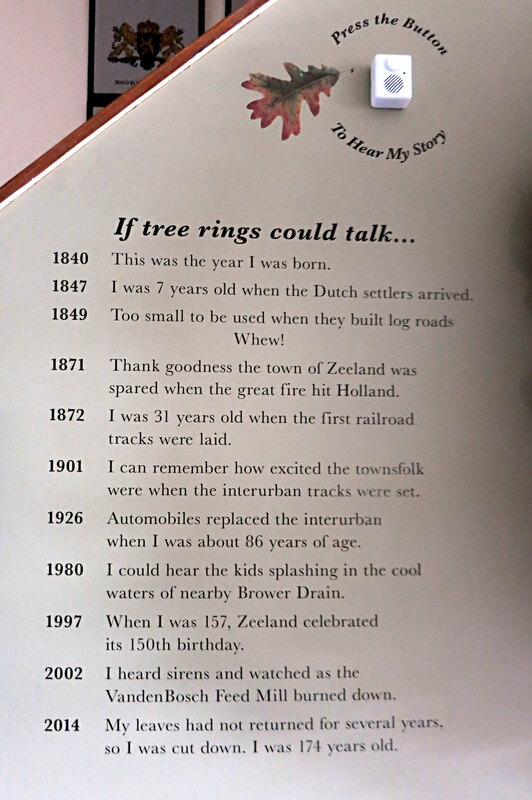 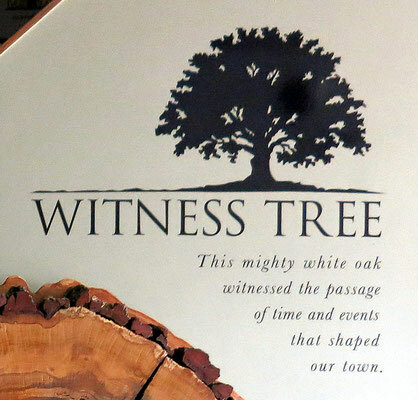 The east wall displays our wonderful "Witness Tree" and the architectural drawing of downtown Zeeland, Michigan.